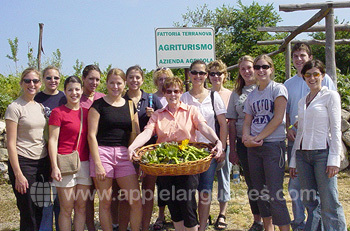 Study abroad in one of the most beautiful cities in Italy! 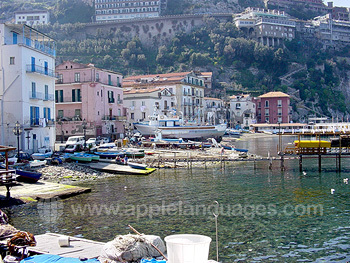 The city’s medieval, cobbled streets sit atop spectacular cliffs overlooking the Bay of Naples. Gazing out across the bay from Villa Comunale Park, you can admire the bustling metropolis of Naples and the infamous Mt. Vesuvius. Stroll down to Marina Grande, where the boats, trattorias and houses form a kaleidoscope of vibrant colours. 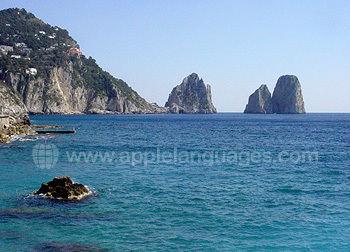 The equally picturesque Marina Piccola is the departure point for ferries to the idyllic isle of Capri. 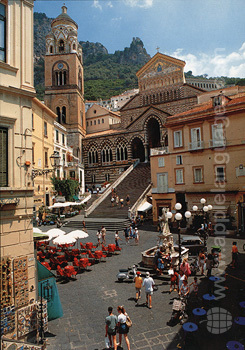 You’ll discover so many unforgettable places on this Club 50 Italian language holiday in Sorrento! 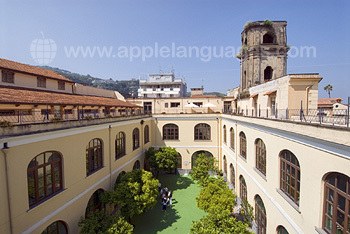 The glistening waters of the Mediterranean are just a short walk away from our Sorrento school, which is housed in a magnificent 16th century ‘palazzo’ (palace). 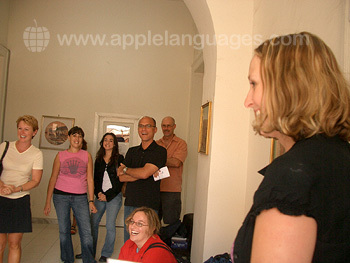 Inside you’ll find air conditioned classrooms, a computer room and free wireless Internet access. 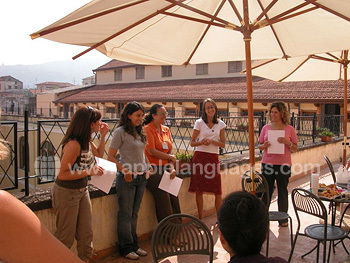 On the roof are sun terraces – the ideal place to relax after your Italian lessons! 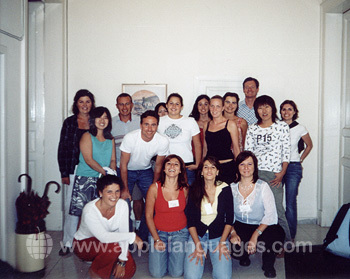 Learn Italian in Sorrento for 2 or 4 weeks, depending upon your preference. 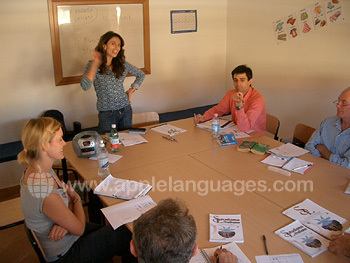 Each week consists of 20 Italian lessons, taught by expert, native Italian teachers. 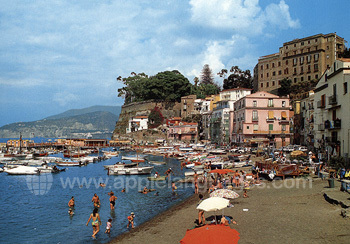 Live with the locals as you take your Club 50 Italian course in Sorrento! 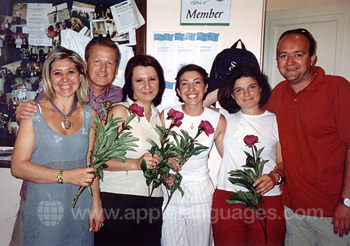 With one of our school’s carefully chosen host families, you’ll get a single room, breakfast every morning and, best of all, lots of Italian practice! If you’d prefer to spend more time with your fellow students though, our school can also arrange accommodation in shared student apartments. 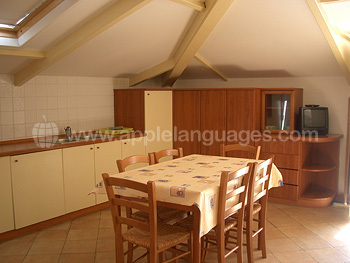 You’ll share kitchen and bathroom facilities with up to seven others, and make friends from all over the world! 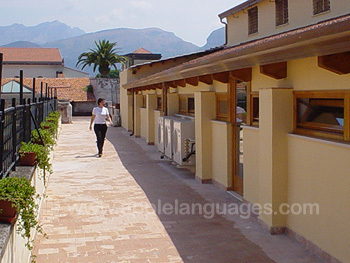 Become totally immersed in the Italian way of life with our school’s exciting cultural program! Learn how to make your own ‘gelato’ (ice cream), create delicious Italian dishes during cookery classes, and sample the tasty ‘limoncello’ liqueur at a local factory. 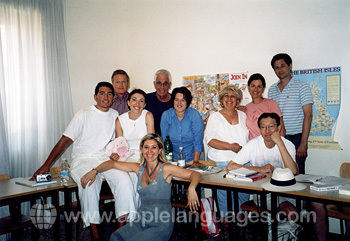 Italian language film evenings and cultural seminars will further widen your knowledge of the culture and language. Half day and full day excursions are also included. The first trip you’ll take is a guided tour of Sorrento itself, showing you the main sights and familiarising you with the city. 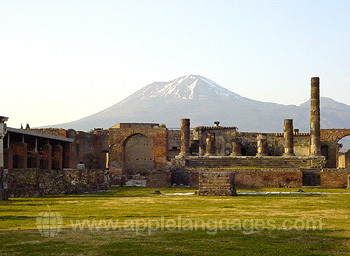 Visit the remarkable ruined city of Pompeii, where volcanic ash has perfectly preserved life as it was nearly 2000 years ago. 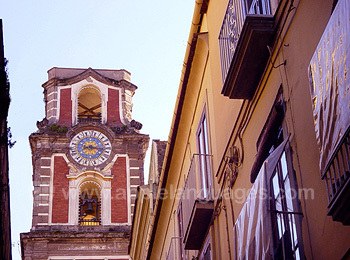 Experience the tremendously lively, eclectic city of Naples, overflowing with history and superb eateries. For a little extra, you could join one of our school’s many optional excursions. 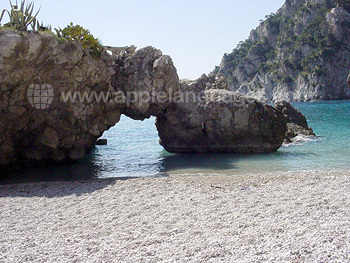 Amongst the possible destinations are Capri, Positano, the Amalfi coastline and even Rome, Siena and Florence! 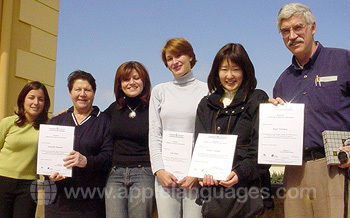 This superb Italian course is suitable for anybody aged 50 or over, regardless of your current level of Italian. Our school can collect you from Naples Airport, although this service is not included as part of your Club 50 Italian language holiday in Sorrento.